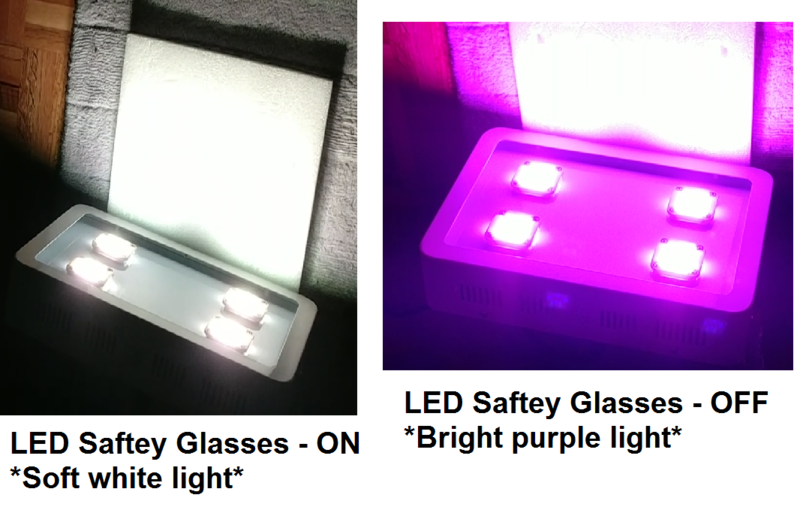 LED Grow Light Safety Glasses. 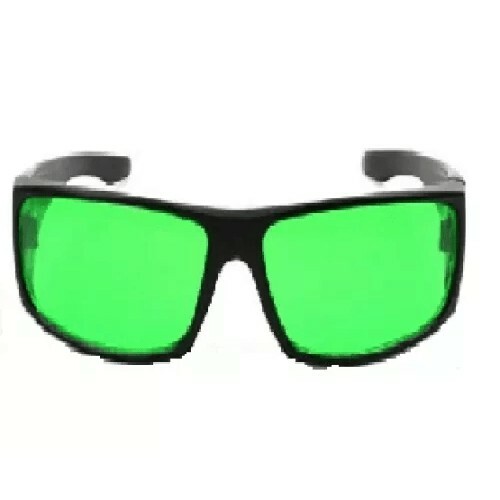 These glasses protect your eyes from LED lights. They change the purple light into a white light. 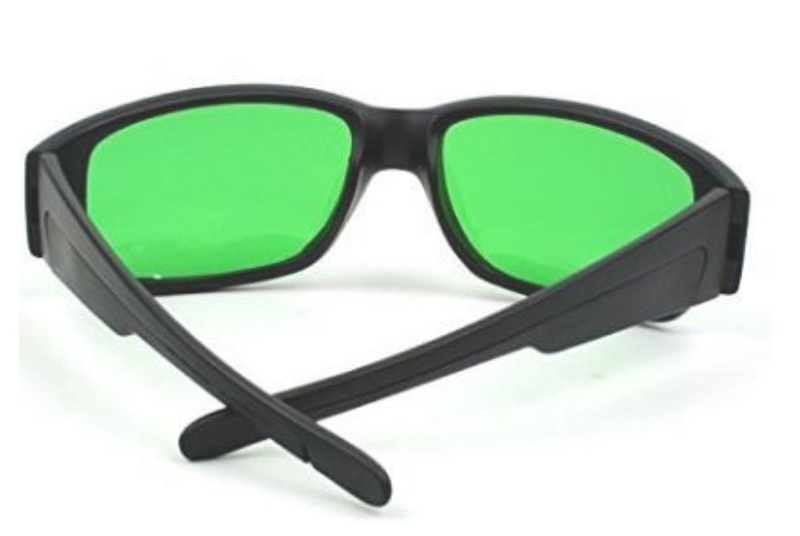 They color correct the light & allow you to properly see. 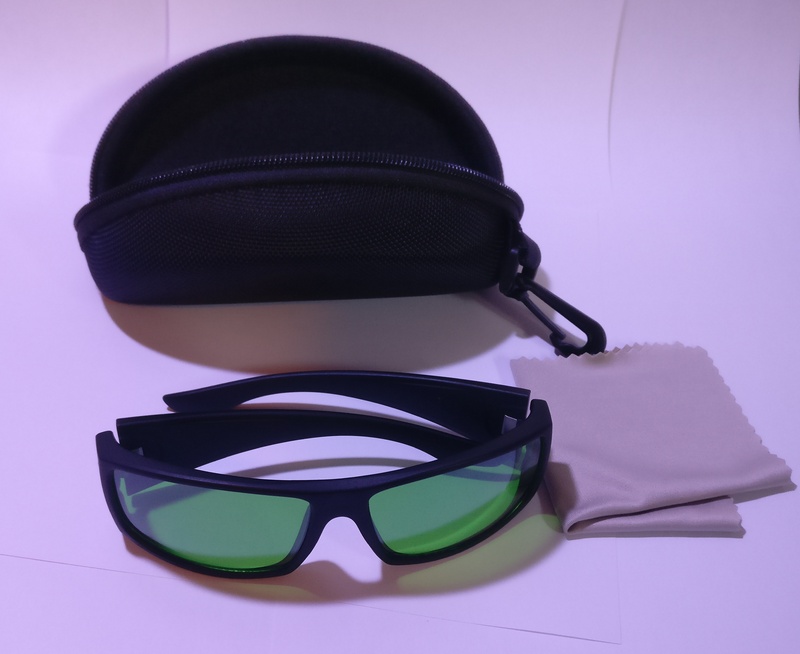 They Block UV light & Infrared light. 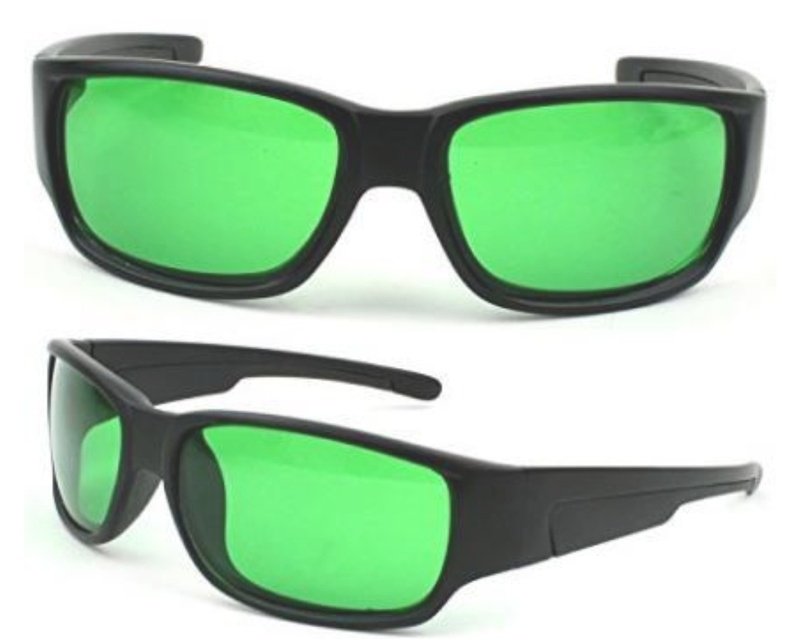 These glasses protect your eyes & reduces stress on your eyes. 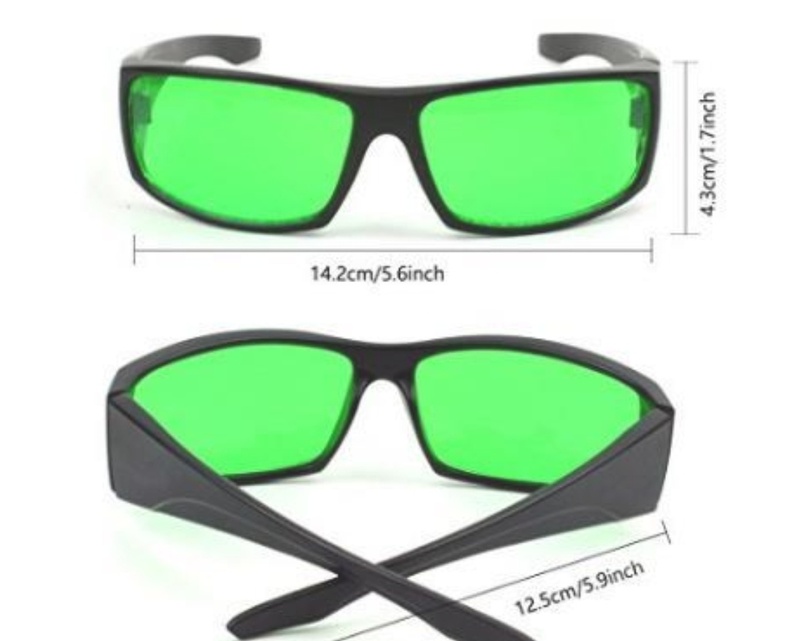 Regular sunglasses do not protect your eyes. These are better & are recommended when operating a LED Light.